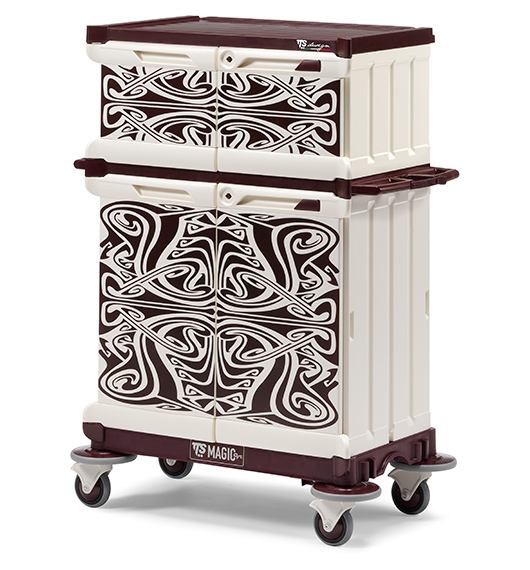 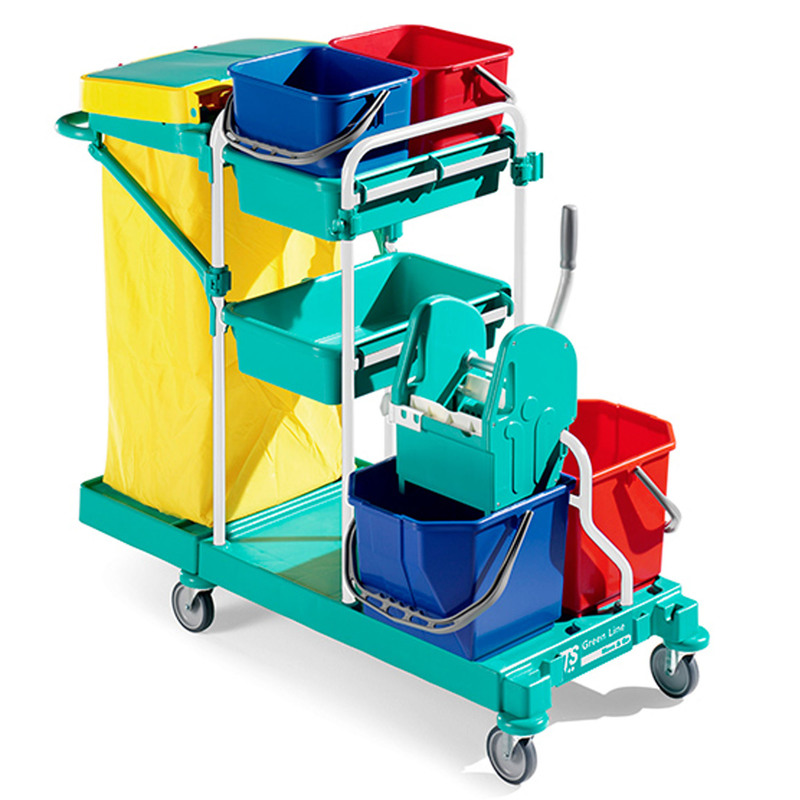 • Stainless modular and multi-use trolley. 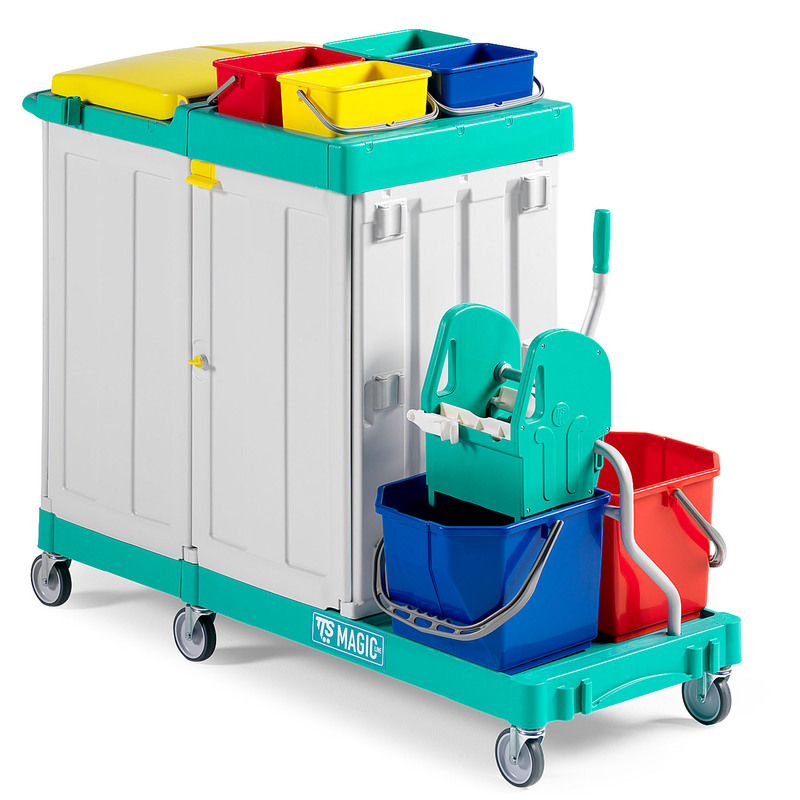 • Steel structure varnished in blue colour and also available in Rilsan structure. 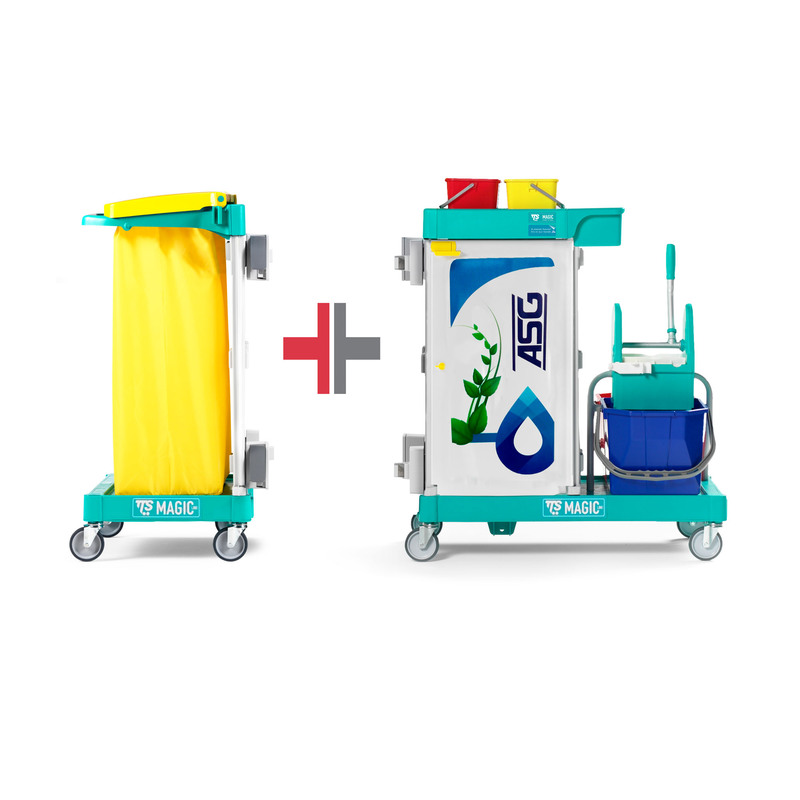 • Small base with Ø 100 mm wheels, 120ltr foldable plastic bag holder, handle holder, two 12ltr buckets, two central basins, Tec wringer, two 15 ltr buckets. 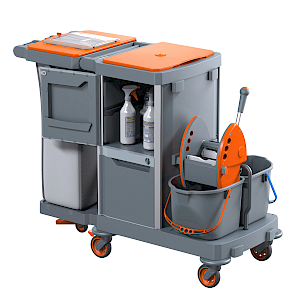 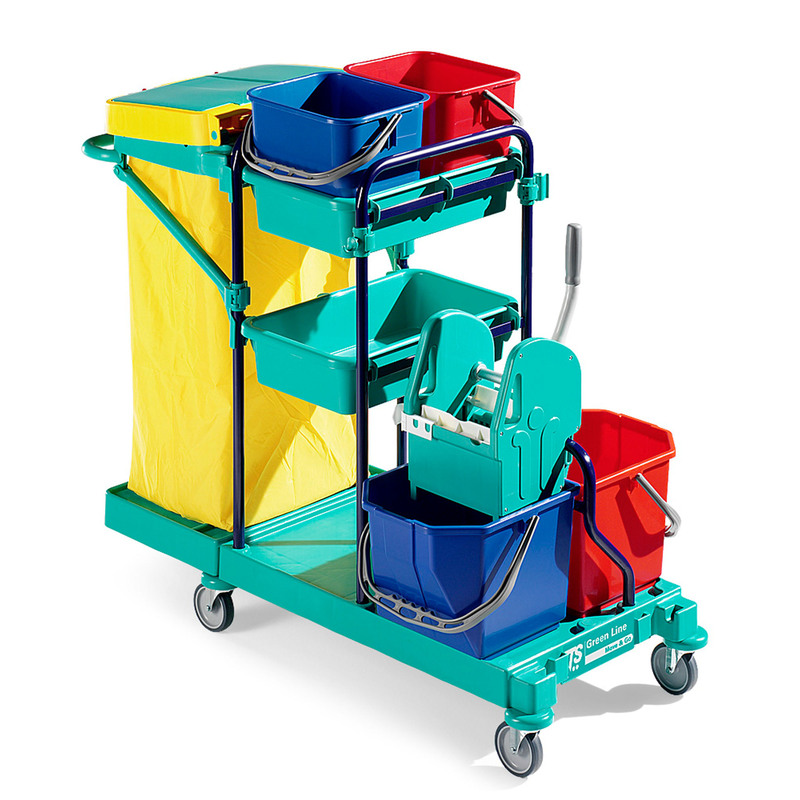 • Suitable for waste collection and trasport of products and tools to clean environments.